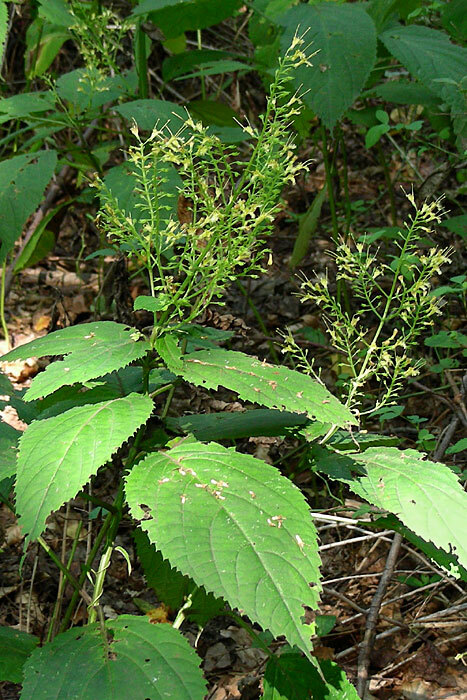 Collinsonia canadensis plant in bloom. Copyright David G. Smith. 9/2006. Delaware Wildflowers. discoverlife.org (Accessed 1/2018). 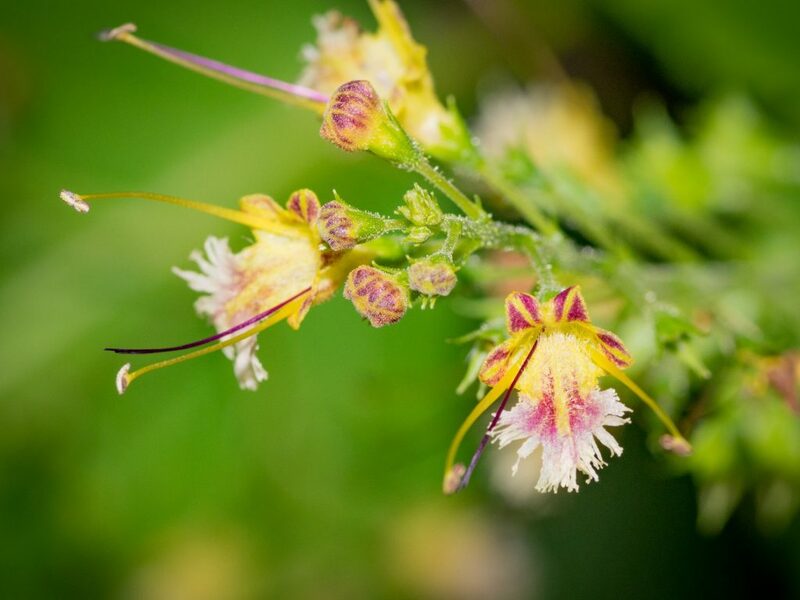 Collinsonia canadensis is a perennial, colonial herb from a woody rhizome, erect, to about 1 m tall, branched above. Leaves opposite, in several pairs, stalk to 10 cm, blade 10-20 cm long, becoming smaller and sessile upward, egg-shaped, tip long-pointed, margin toothed, aromatic-lemon scented when crushed. Flowers pale yellow, small, fragrant, tubular, bilaterally symmetric, one lobe larger and deeply fringed; inflorescence branched; blooms and fruits July-Sept.
Fruit dry, a rounded nutlet, about 0.2 cm. Habitat: Woodland herb of moist or wet soil. Notes: Winter plant with persistent irregular, bell-shaped calyx, two lower pointed lobes longer than 3 upper (Levine 1995). Traditionally used as a medicinal. Fresh leaves are a strong emetic (Plants for a Future 2004).